Political parties made their suggestion that examination schedule and other things should be kept in mind before announcing the election, Rawat told media persons. 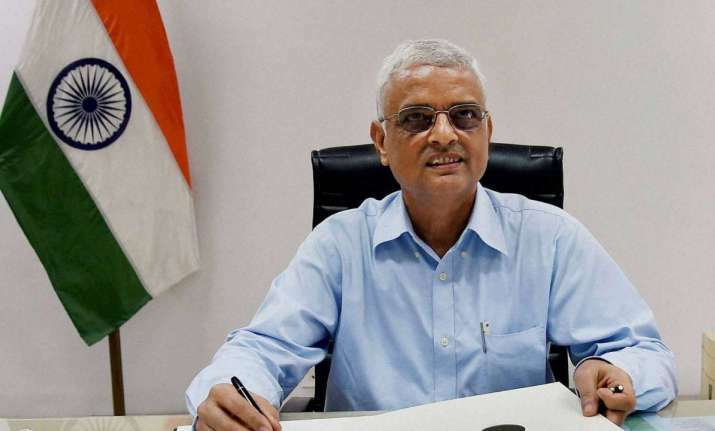 Chief Election Commissioner Om Prakash Rawat today said most of the political parties in Karnataka wanted single phase polling for the coming assembly elections. Political parties made their suggestion that examination schedule and other things should be kept in mind before announcing the election, he told reporters at the end of the two-day visit of the full Election commission to the state. “...the commission has taken note of it. Most of them wanted one phase, one day polling”, Rawat told reporters here. On holding single phase election, Rawat said “right now the commission would not like to comment on it.” The Election Commissioners met representatives of various political parties and discussed their views and concerns. It also reviewed poll preparedness for assembly elections, due in the next few months. Besides meeting representatives of political parties, the commission held meetings with the state Chief Secretary, the Director General of Police, Home Secretary, Deputy Commissioners and district Superintendents of Police. They also held interaction with enforcement agencies like Income Tax and Exercise Departments among others, officials said. When asked whether the ECI was happy about the law and order situation in the state at a time when the opposition BJP was alleging breakdown, he said the commission has taken stock of the situation and concerns raised by political parties. He said the commission was committed to maintaining ‘purity’ of the elections by delivering free, fair and transparent polls. “The commission has directed the state level and district level election machinery to be fearless, unbiased, neutral and independent from any influence whatsoever,” the CEC said. Rawat said issues raised and suggestions made by political parties during the meeting related to law and order, implementation of Model Code of Conduct, Electronic Voting Machines, expenditure monitoring and electoral roll among others. Political parties raised issues and made queries about EVMs and Voter Verifiable Paper Audit Trail (VVPAT), a method of providing feedback to voters using a ballot less voting system. Demand had also been raised for organising extensive awareness about VVPAT, he said. Stating that instructions have been issued to the Chief Electoral officer to hold regular interaction with the media, Rawat said the commission also directed formation of Media Certification and Monitoring Committee in every district and at the state capital. Last month, a team of EC officials led by Senior Deputy Election Commissioner Umesh Sinha had camped in here for three days and held detailed and comprehensive review of the election preparedness with the state machinery and the Chief Electoral Officer.